Adventure Game Studio | Forums | Unavowed - IGF nominee!! 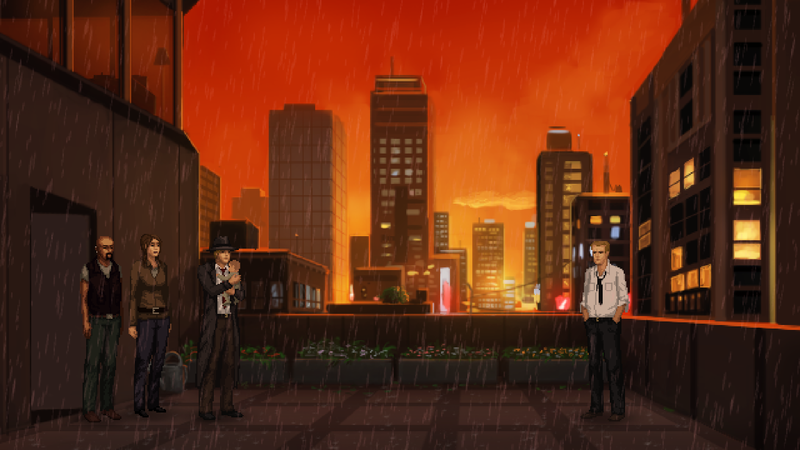 Topic: Unavowed - IGF nominee!! 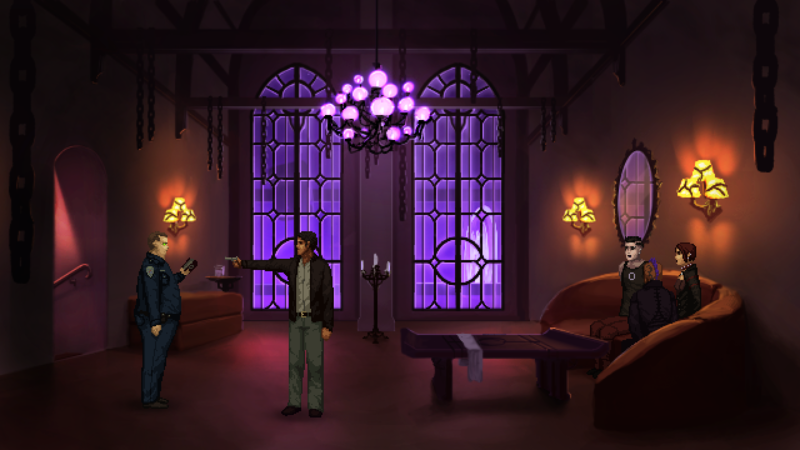 After three years of development, I am SUPER proud to announce that Unavowed has been released! For six months, you were possessed by a demon. 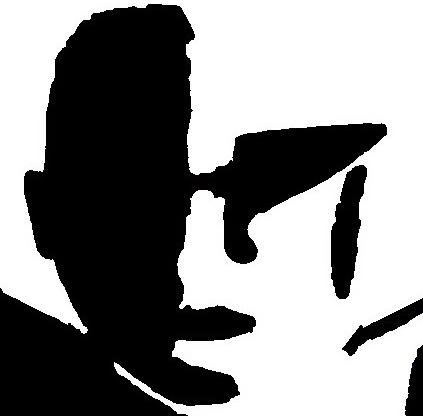 For six months, you unwillingly tore a trail of bloodshed through New York City. 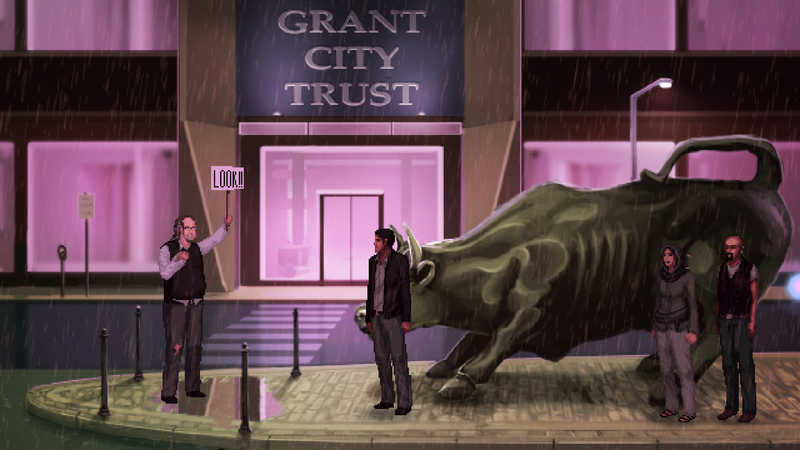 Now, finally, you are rescued by the Unavowed - an ancient society dedicated to stopping evil. You are free, but your world is in tatters. You have no home, no friends, and you are wanted by the police. You can not return to your old life, but perhaps you can start a new one. 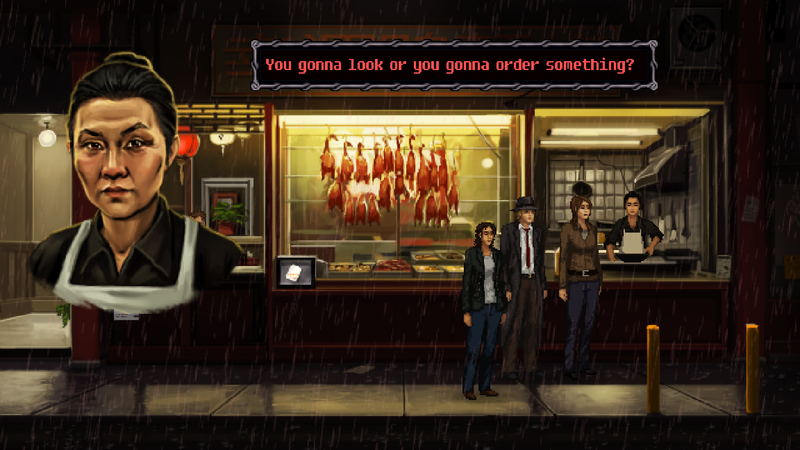 Join the Unavowed, and learn to fight against the oncoming darkness. -A total of four companion characters to choose from. Each with their own talents and abilities. -Double the resolution of a typical Wadjet Eye Game! Plan to start playing it this evening. Might be up all night. Big congratulations on the release, I'll need to get around to playing it once I find the time! Congratulations! It's awesome to see that it's finally released and already receiving positive reviews and feedback. I'm a bit surprised about the price though, expected 20 or more. Yessss! Been waiting all summer (year, really) for this one! I cannot WAIT to get home & purchase. I foresee some late nights ahead! Woo-hoo! ...at the risk of getting flogged for this...will there be a walkthrough coming? I would happily pay for a guide... I always, always get stuck, lol. Congratulations on the release of 3 years of hard work!! So. I am pleased to announce that after eight hours, Unavowed has broken our day 1 sales record. Which one was the previous best? Congratulations!!! I really enjoyed the portion of the game I saw when attempting to playtest and failing. Can't wait to play the full game!!! Oh, let's all try to guess!!! 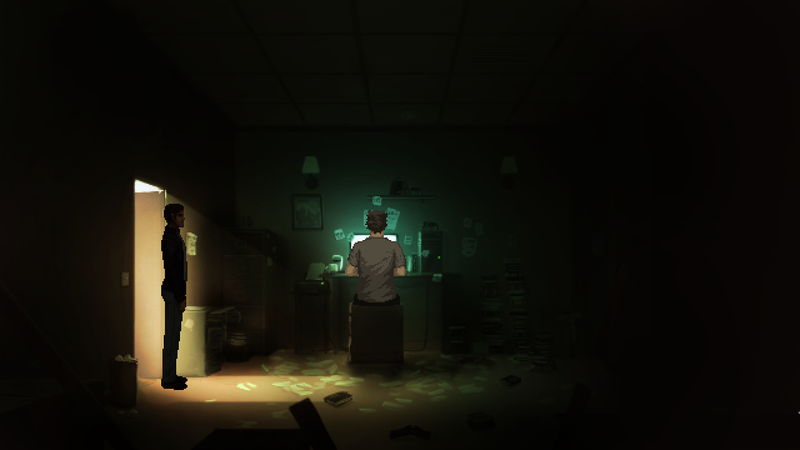 My guess would be The Blackwell Epiphany. Likely. Now I wonder how my favourite, Technobabylon, did. In comparison to the others, I mean. And congrats (again) on beating your record!! just bought it on GoG, that game is the best Adventure, I played in years. Party like in Mass Effect, decisions, different characters for multipe playthroughs. Graphics are really great, Voice acting is nearly perfect, and to show the "look at" when the cursor is over the object is a great idea. I can't stop playing and I don't miss that the player character doesn't have voice acting! Awesome, works on my phone...Very nice work David!! Huge congrats with the release! 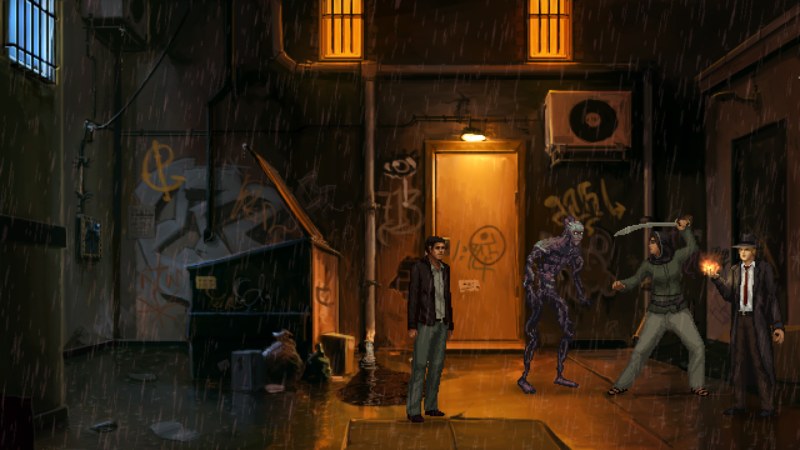 Unavowed sounds like the perfect next step in the evolution of adventure games. And it looks really good Ben Chandler and Ivan Ulyanov! The Outer Zone - Strange narrative games and illustrated books. Very good game! I played through it in three settings, only stopping when I was too tired to continue. I got stuck twice, once when my brain just couldn't understand the meaning of the word "legs" and once when I missed an exit and consequently some characters to talk to. I love the story, the graphics, the voice-acting, basically everything, except for one thing: Why am I only allowed to take two side-kicks on missions? It just feels so arbitrary, especially because I can't go back and take someone else when it feels like he or she would be better suited for the mission. But props for the design making every mission possible to solve with the different combinations of characters. The game says it's been a year, not six months, doesn't it?